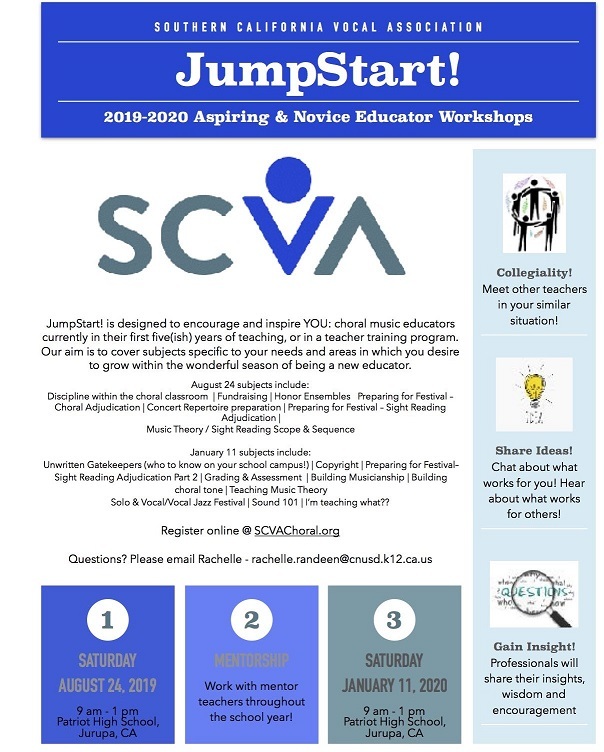 Southern California Vocal Association - JumpStart! JumpStart! is designed to encourage and inspire YOU: choral music educators currently in their first five(ish) years of teaching, or in a teacher training program. 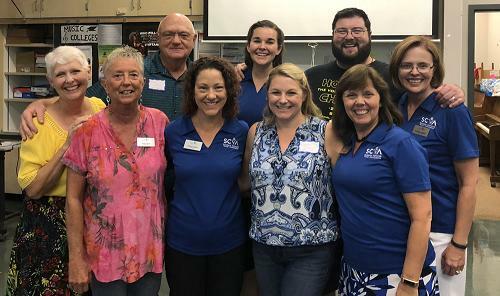 Our aim is to cover subjects specific to your needs and areas in which you desire to grow within the wonderful season of being a new educator within the choral music classroom. Copyright © 2000-2019 Southern California Vocal Association, All Rights Reserved.